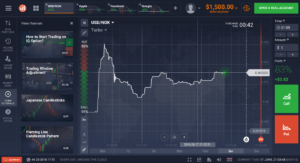 A few months ago, we introduced a new broker – IQ Option. Since then, the broker quite captivated me and I think that it’s my favorite to trade with. I’ve already written about it in the article Experience with IQ Option. One of the biggest reasons why I like this broker is, among other things, that they offer a quality Demo Account, Free of charge. Getting a demo account is quite easy. 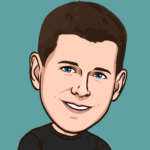 Unlike other brokers as e.g. topoption, you just gotta simply go through a quick registration. 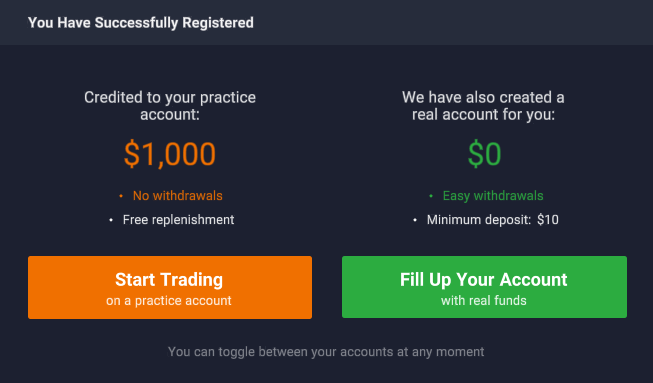 Registration takes a few seconds (a minute at the most), and soon you have your account credited with 1,000 virtual dollars, with which you can trade and test the platform or your trading pattern. The page will then automatically redirect you to the trading platform. It takes a while to load. In the meantime, go to your email and click the confirmation link. After opening the trading platform, it is necessary to confirm that you agree with the risk involved in trading binary options and to the fact that binary options trading can’t bring guaranteed profit. However, we will only trade on a demo account, so we do not mind. Now you can happily trade. Whenever we want to switch between real money mode and demo mode, simply click on the upper right, on the current account balance and select either PRACTICE ACCOUNT or REAL ACCOUNT. 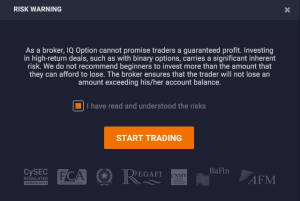 iq option it will not open . Hello, you are talking about iq option demo account or about what? If yes, then you are wrong, because this broker still offers a free demo account. Hello Hector, you can or you are not allowed? Give us more info, thank you. If you have verified account you can start trading on the real account, or there is any problem with your iqoption account? Let us know, so we can help you. Have a nice day.